Bed and Bike Curacao- We’re honestly not big hostel people but our opinion has been altered after staying here. They have dorm rooms as well as double rooms with private bathrooms (we stayed in one of these). From outdoor space, to a shared kitchen as well as a restaurant, this hostel had everything we could need all while feeling bright, airy, modern and clean. As the name suggests they also offer free bike rentals to all their guests. Their goal is something we can definitely get behind, to make the relatively expensive island more affordable and accessible! 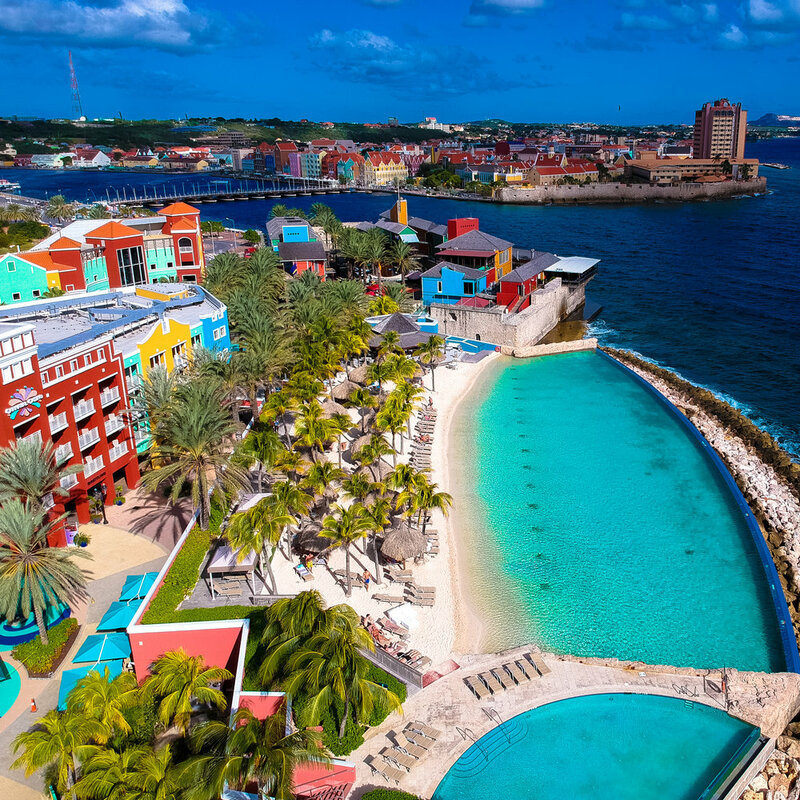 Renaissance Curacao Resort and Casino- This is a big, family style resort located in the center of it all in downtown Willemstad right next to the cruise line dock. Rooms were big and well appointed and ours had a great view of the ocean. Because of their location, there is no actual beach, but they’ve remedied this by creating a very unique man-made beach with an infinity edge looking over the ocean. If salt water isn’t your thing there is fresh water pool right beside it. This hotel is for anyone looking to be in the centre of everything with all the amenities you could ever need (gym, casino, business center, lots of restaurants and bars and even a Starbucks right in the building). BijBlauw- This hotel is everything a boutique hotel should be, it’s small and chic with friendly, warm staff. We were spoiled with a gorgeous room that had a private patio overlooking the ocean. 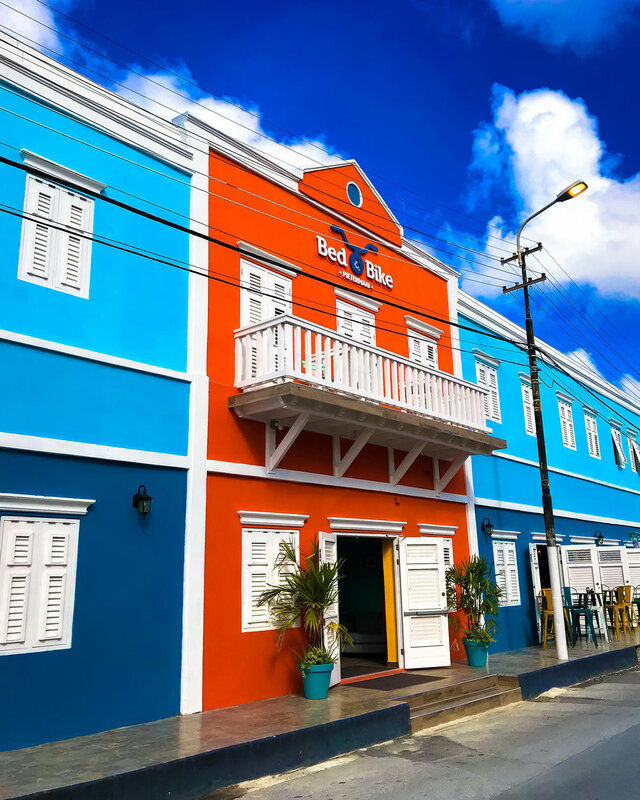 The restaurant is absolutely suburb, but it’s also located in our favourite Curacao neighbourhood of Pietermaai which is full of street art, boutiques, and other great restaurants. Avila Beach Hotel- If you want to stay away from all inclusives, but still want the amenities, this place is for you. We didn’t stay here but did spend a day relaxing on the beach and touring the property. They have a number of different room types from apartments to beachfront suites (perfect for honeymooning). They also have a few different restaurants on the property and are also in walking distance to other (not affiliated with the hotel)- we loved our lunch at the pool bar! The beach is glorious and the pool conveniently overlooks the beach. 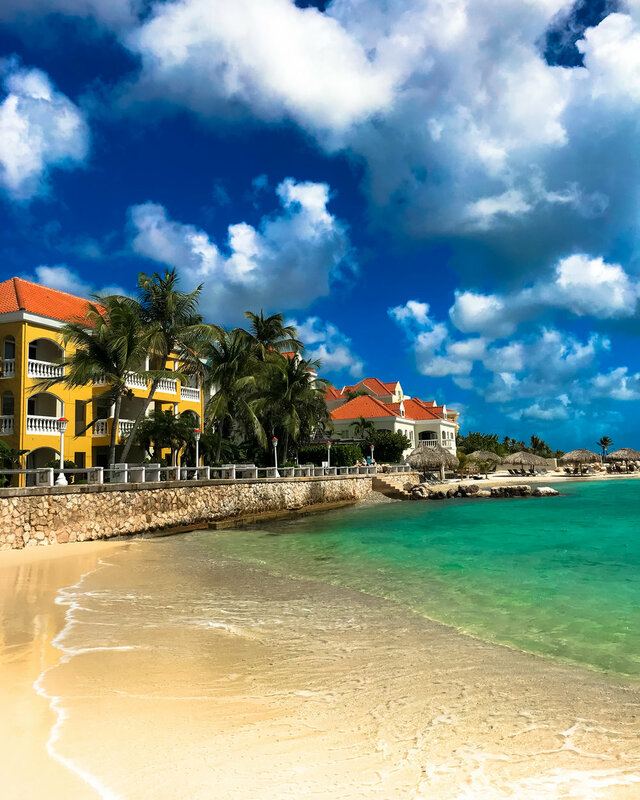 Baoase Luxury Resort- This is perhaps one of the most luxurious hotels not only in Curacao but in all of the Caribbean. If you have the budget to stay here, you’ll find it entirely worth it. From a gorgeous beach with an island and perhaps the nicest loungers we’ve encountered anywhere, to a beautiful pool you can’t really go wrong. We stayed in a beachfront suite which had its own outdoor plunge pool as well as designated beach loungers. This Bali inspired hotel also has a world class restaurant. 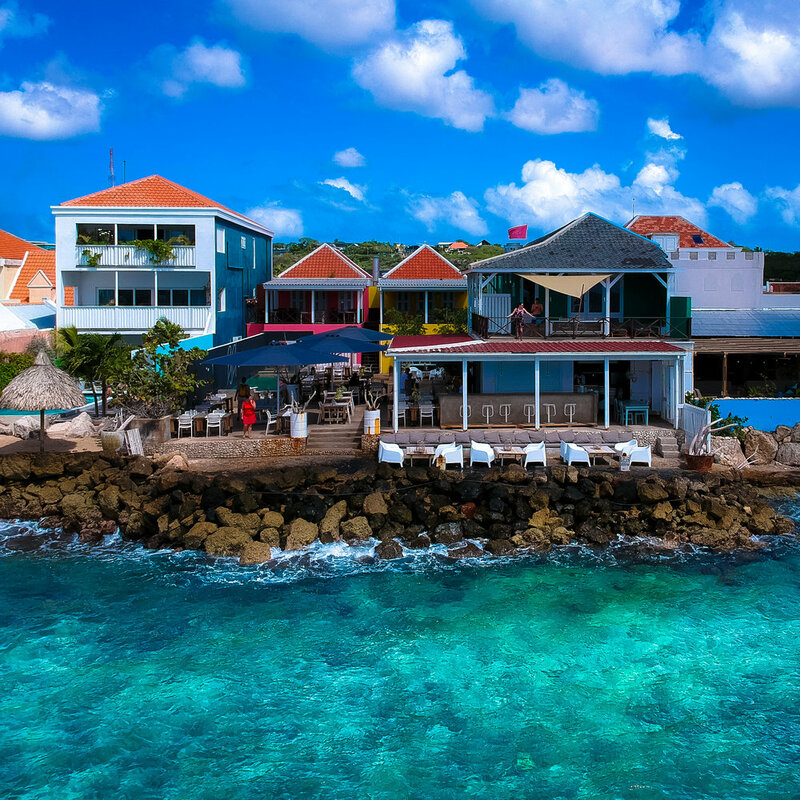 Hopefully this list can help you narrow down the choices of accommodations in Curacao! If you have other great suggestions, questions or feedback, don’t hesitate to comment below!